of our world of research, discovery and innovations. some of our informational websites, products, brands and projects. Please feel free to contact us in any moment you may require some additional information and/or extension of the existing one. Alternatively, you may search any of our products, brands, patents, or even under our corporate names and discover by yourself the number of documents and releases made throughout the World Wide Web about us, our company and all the things that we can do to improve people´s lives. This is why our motto and goal is MAKING LIFE BETTER. Human Resources provides ND Pharma leaders and employees with best-in-class people processes, programs and services. Whether working on emerging technology or in established areas, ND Pharma & Biotech IT professionals help solve business challenges and enable growth with information technology. Corporate Affairs professionals play a key role in managing and enhancing the corporate reputation and opening up dialogues for change. Customer Service employees are at the forefront of our business. They build new relationships, strengthen existing ones and enhance the ease of doing business with ND Pharma & Biotech and its subsidiaries. The EH&S teams have a shared commitment to protect people and the planet by providing Product Safety Services for 160,000+ products. 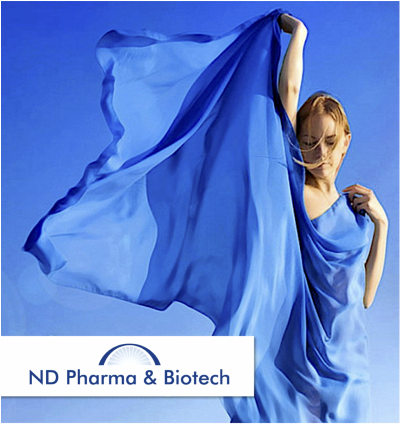 Finance at ND Pharma & Biotech Company is a vibrant global community of top caliber people collaborating in an inclusive environment to make a difference in all that we do. Our Legal Department is comprised of attorneys, paralegals and patent agents who provide counsel on a wide range of legal and ethical issues. Our Marketing & Sales teams work with thousands of customers, markets and industries all around the globe as the Global company we are. These employees are dedicated to delivering substantial and sustainable competitive advantage to ND Pharma & Biotech existing businesses and customers. Supply Chain at ND Pharma supports the flow of materials into our productive centers, plants and partner´s premises for manufacturing, on-site logistics operations, and deliveries to our customers.